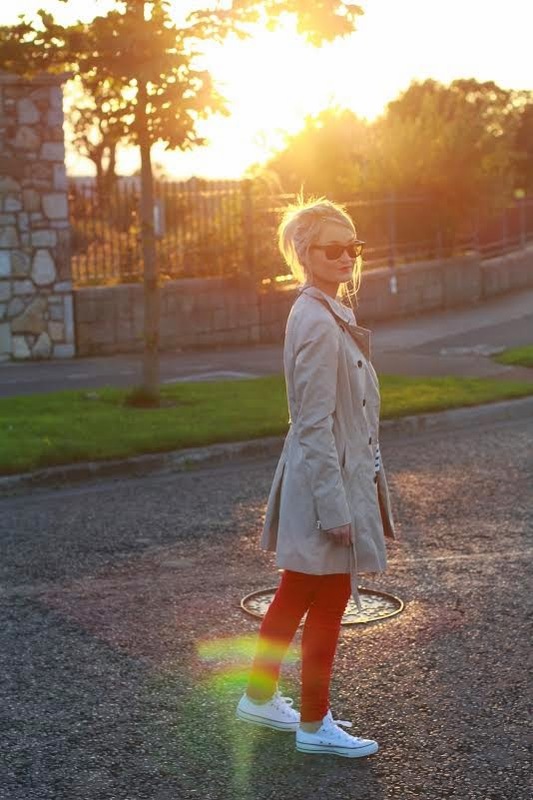 A must have autumn piece has to be a trench coat. I fell in love with them last April on a trip to Paris. Litteraly every second Parisian was donning the trench. And if it is good enough for the Parisians it is good enough for me! 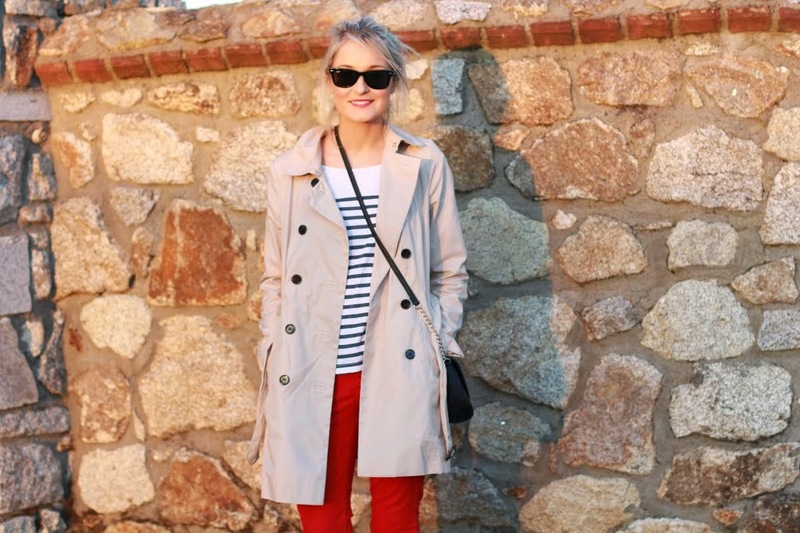 The trench is also a pretty timeless piece and not to mention practical. 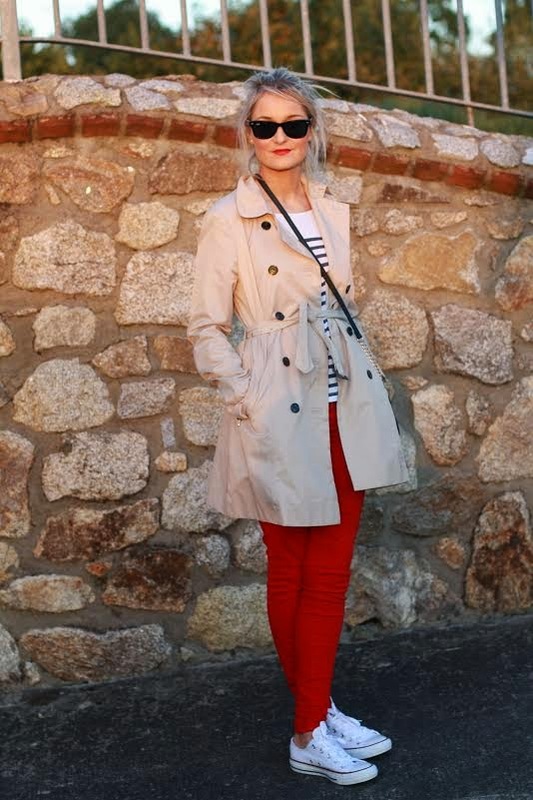 One day I would love to invest in a Burberry Trench but until then its Dunnes Boutique for me! 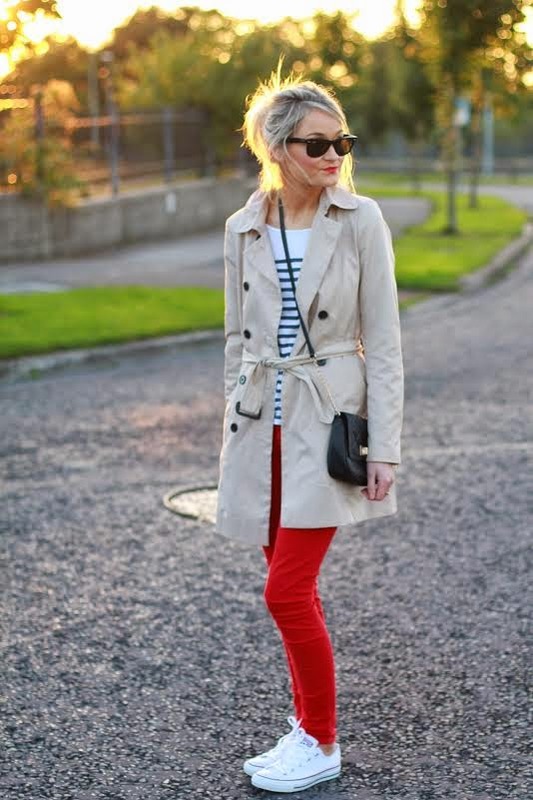 beautiful casual look! 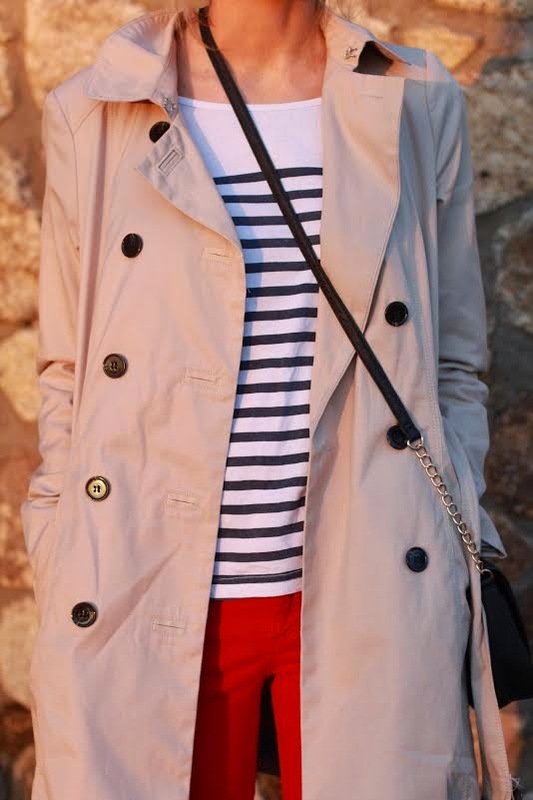 a trench is a must have! 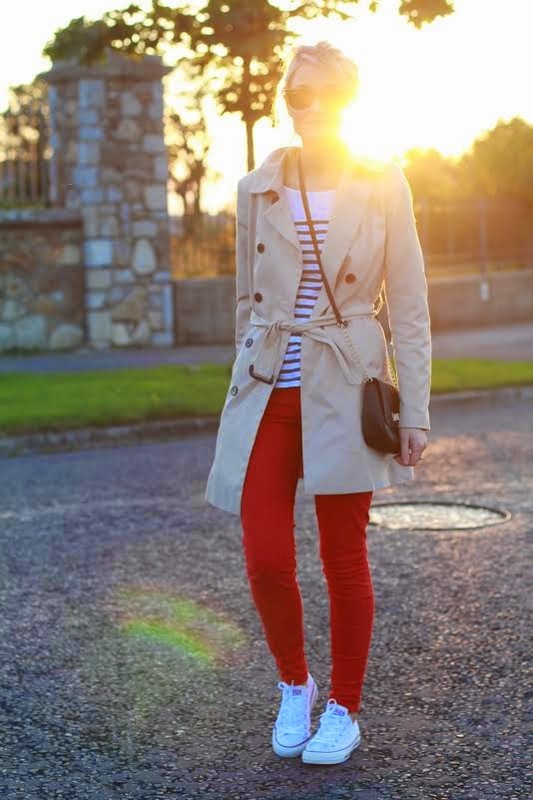 love the striped top and the red jeans really make the difference! You look so pretty in this casual look! 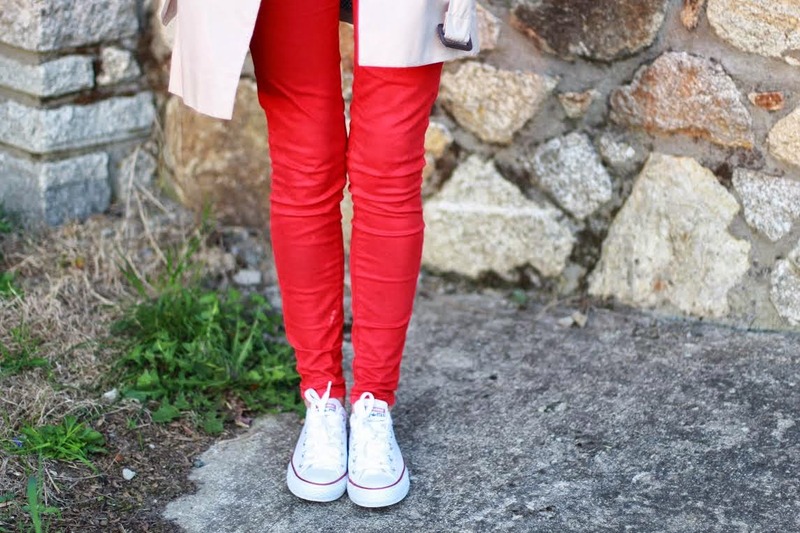 The red pants are a really nice touch! 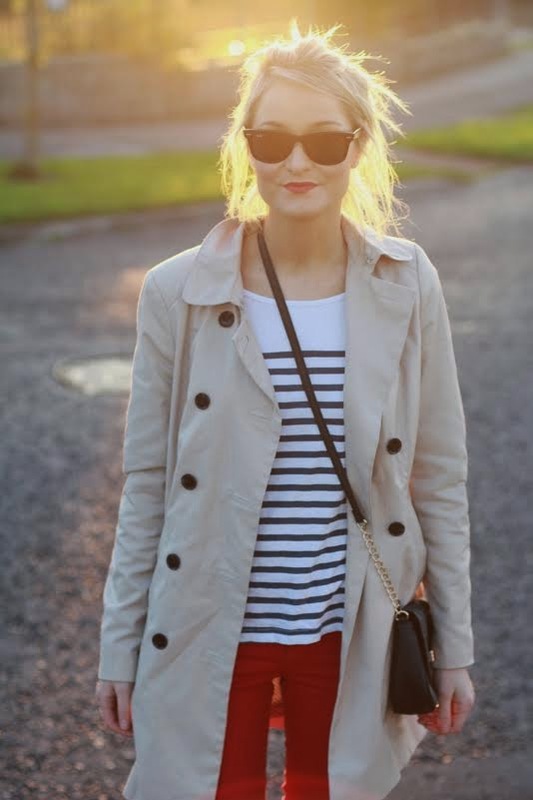 Love this simple but stylish look! I just made my first purchase at Zara, they're collections is to die for this fall! 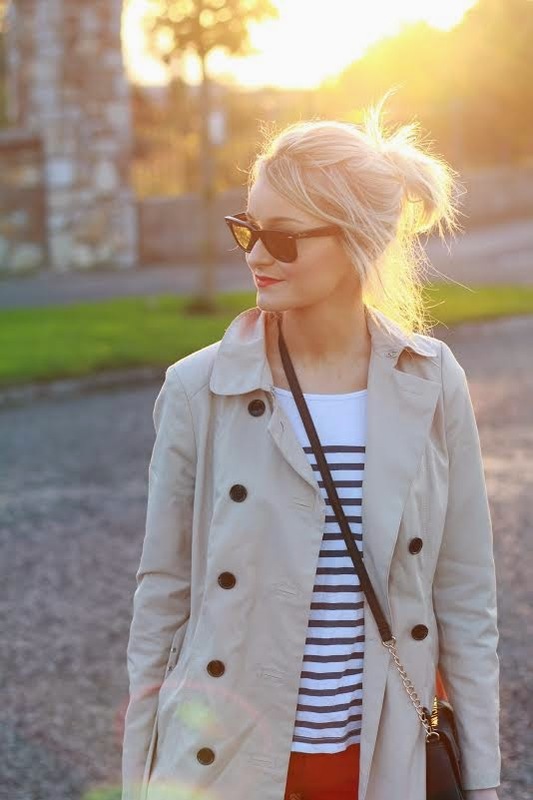 love this outfit and your trench! Nice look,, very clean !! I love this outfit! 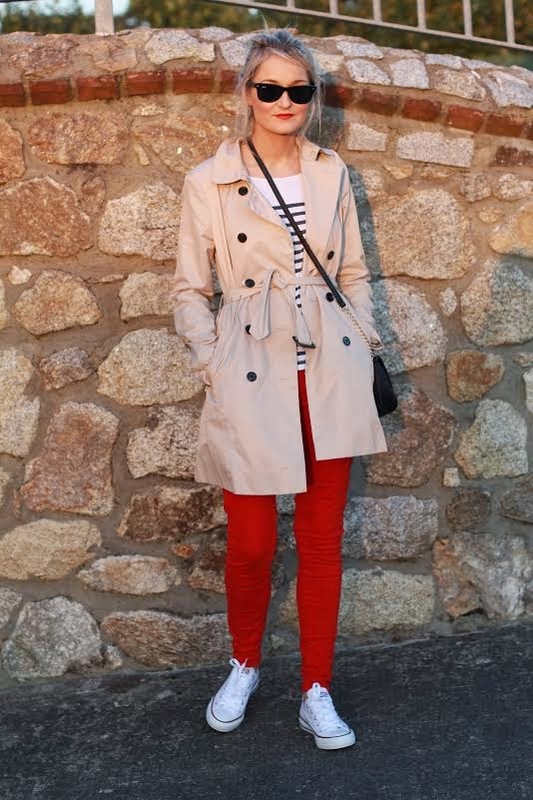 It's so casual but so chic at the same time! I love your lip color as well! 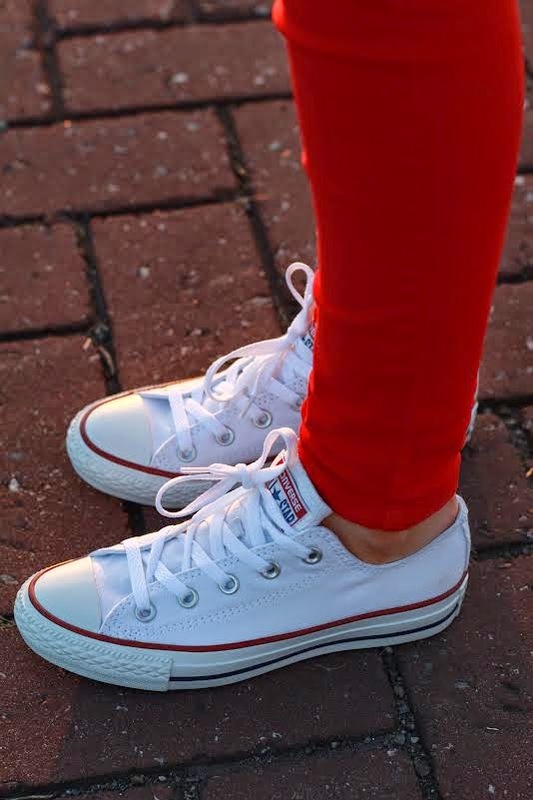 Perfect casual outfit! I need a trench coat myself!